Jaguar Land Rover has sold 604,009 vehicles (including sales from its China joint venture) in the 2016/2017 Financial Year. This is up 16 per cent compared with last year, exceeding 600,000 for the first time in the company’s history. Sales for the 2016/2017 were up year-on-year in China (32 per cent), North America (24 per cent), the UK (16 per cent) and Europe (13 per cent), and sales in other overseas markets were down 6 per cent. For the month of March, retail sales were up in Europe (21 per cent), North America (21 per cent), China (21 per cent) and Overseas markets (6 per cent) compared to March 2016. 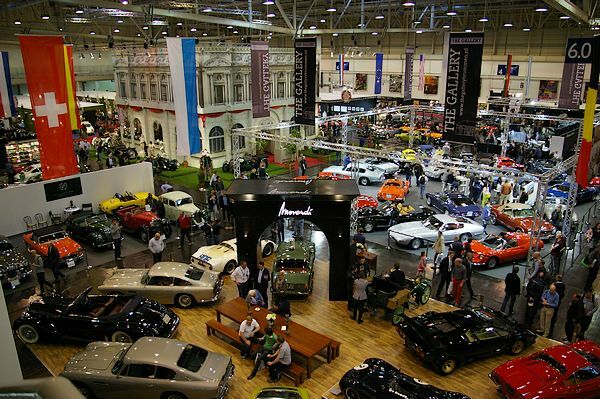 In the UK, March sales were up 26.5 per cent to a record 31,778 vehicles. This year, the main growth has taken place thanks to Jaguar. The F-Pace has opened up new markets, and the XE and XF are now fully on stream. 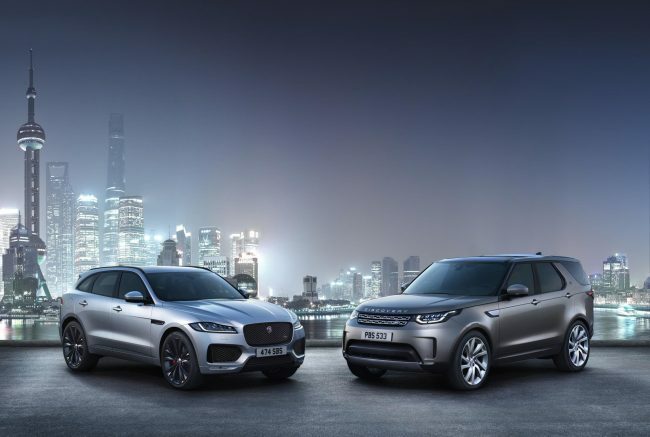 Land Rover retailed 431,161 vehicles this financial year, up 1 per cent compared with last year, as continuing strong sales of the Discovery Sport, Evoque and Range Rover Sport were offset by the run-out of Defender and Discovery. Retail sales for Land Rover for the Fourth Quarter were 125,537 units, down 3 per cent on quarter four last year, and retails in March were 63,018 vehicles, up 5 per cent compared to March 2016. 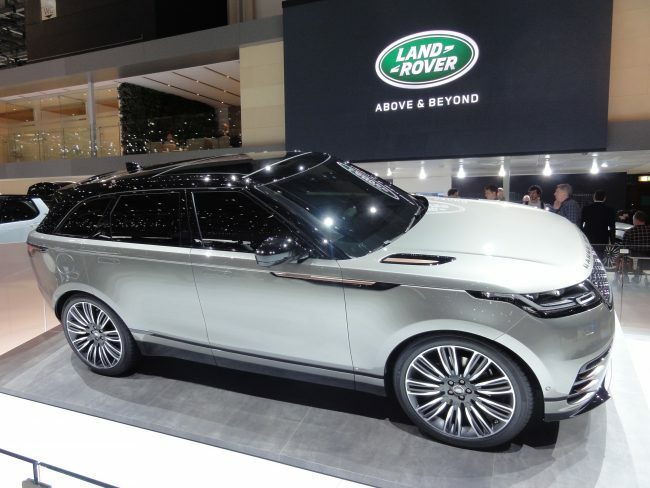 Last month Land Rover launched the Velar, a new addition to the Range Rover family, positioned between Evoque and Range Rover Sport. Well done JLRover. How about you buy the Vauxhall factory and build the iPace. M.
JLR would be mad to invest in the U.K. until Brexit is resolved. Why take the risk of investing in Britain? 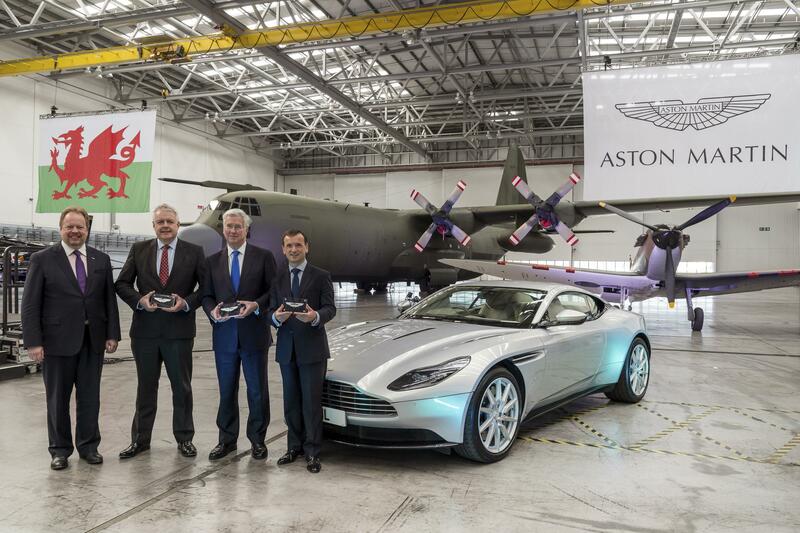 Well both Nissan and Toyota have significant investment in the UK in recent months. The Government will be desperate to maintain Britains manufacturing base (first time they have shown any interest in over 30 years granted) in the run up to Brexit and will promise manufacturers the earth to invest. Maybe JLR would be mad not to take advantage of this? More nonsense above assuming Opel should hand over Vauxhall and Ellesmere Port to JLR again I see! Well done. When was the last time British Leyland output exceeded 600,000? But in Japan, China and the US I suspect they probably sold rather mor ecars than JLR! Of course, but in Europe their sales are disastrous. I worry for the Swindon plant, not because of Brexit, but because of the terrible sales figures. At some point will Honda just give up on mainstream European sales? All very pleasing but how does this compare to Mercedes, Audi and BMW ? I suspect there is still a long way to go before the Germans catch their breath. BMW sells 2 million a year, but they go right down to classes that JLR havent touched yet – 1 series, 2 series, Mini. Lexus sales globally are about the same as JLR and they have the full might of the worlds most profitable car company behind them. Everyone has tried to get into this market over the last 50 years. Considering JLR is basically a startup – still using ford floorpans and engines until like last year – it’s pretty damn impressive in my book. Give them a chance! an 83% increase in Jag sales – all at a thumping profit – in 1 year isn’t bad going! Your armchair a nice comfortable place to expert from is it? Well deserved. Jaguar Land Rover are correctly concentrating on producing great cars rather than worrying about the opposition. Paying off as I see they have a 16.7% net margin which allows them to build up cash reserves to facilitate future investment. I also understand they are concentrating on minor interior trim quality. Only issue we have from our users of our fleet XEs. Zero reliability issues from our 5 XEs after 2 years and average of 94000 kilometres. Tata sells about 300,000 cars only. With 600,000 JLR sales. I predict a takeover soon. Either of Tata Motors including JLR or just JLR. Since GM sold GM Europe. and since Cadillac is falling as a luxo brand I predict a sale to JLR to GM. or Renault Nissan to tie in with their Infiniti brand and share resources. Or perhaps the Chinese may come calling. Or maybe even back to Ford or Honda of japan. After Brexit is settled imho. VAg tried to team up with Suzuki. And they wanted Alfa from Fiat. So, they gotta be contenders and their SUV range is not a big seller for them..
Nissan in the USA relies on sub prime borrowers. JLR would be a good addition to them. They could make a “real” defender on the Patrol chassis. Ya know… that vehicle that does go off road..With the UN and such like. One of the most critical markets for JLR is the USA and they seem to be doing much better here in recent years. I bet that is helping their overall production numbers and profits, although the exchange rate may be currently helping them here. Let’s face it too, Jaguars are much better looking than BMW’s and M-B’s. If anyone was to take over Tata, I contend that PSA is the best fit. PSA are hopeless in SUVs and large cars which is where JLR excels. Guys, JLR is not about to be taken over by anyone. They’re more profitable than many of the mainstream car makers quoted and the companies that could afford the 10-20 billion cash that Tara would demand can likely be counted on one hand with fingers to spare. They have their own platforms engines and soon their own battery factory and the synergistic benefits of getting into bed with a low margin commodity player are pretty much non existent. In any case it’s already been tried – x type anyone? What I think is far more likely is a partial float on the LSE to help finance some of the ambitious capex plans, hence why they’ve kept their own board, capital structure and always reported as a standalone company, not a division of tata. Also recently hired a corporate specialist in this area – JLR PLC here we come.